Experts: Iraq Christians are on the "Edge of Extinction"
For Christians and other minorities in Iraq the “situation is very, very grim,” concluded former congressman Frank Wolf during the May 6 panel “Edge of Extinction: The Eradication of Religious and Ethnic Minorities in Iraq.” This highly informative American Enterprise Institute event fully substantiated his assessment before a standing-room-only audience of about 70, including religious freedom activists Faith McDonnell, William Murray, and Mark Tooley. Wolf, the “Godfather of international religious freedom” as described by fellow panelist and religious freedom expert Nina Shea from the Hudson Institute, discussed the panel’s theme in light of his recent Iraq trip. Once numbering 1.5 million in 2003, Wolf observed, Iraq’s Christian community had fallen to perhaps as few as 200,000. Under the genocidal assaults of the Islamic State in Syria and Iraq (ISIS) in recent years against Yazidis and Christians, the Christian community “is facing extinction if the current trajectory remains.” He noted the jihadist motto “first the Saturday people, then the Sunday people” and the extinction precedent set for Iraqi Christians by Jews, as some 150,000 Iraqi Jews have dwindled over decades to fewer than ten today. Wolf particularly noted Christianity’s “ancient roots” in Mesopotamia’s “cradle of Christianity” where “more biblical activity took place in Iraq than any other country outside of Israel.” ISIS “crime against humanity,” Shea said, included not just genocide, but the ravaging of a “cultural mosaic.” Destruction of Iraqi minority communities, stated United States Commission on International Religious Freedom Commissioner Daniel Mark, meant that “we lose a piece of world history forever.” ISIS, Wolf noted, had destroyed among other heritage treasures Jonah’s tomb in Mosul near the biblically significant Nineveh Plains. Wolf complained that Americans “are only doing a fraction of what could be done” to defeat ISIS, whose self-proclaimed caliphate was “not being met with urgency, nor with action.” “Silence in the face of evil is itself evil,” he quoted from the executed Nazi resistance fighter Rev. Dietrich Bonhoeffer and remarked that “we are being silent” as a human catastrophe is “taking place on our watch.” “We are rather good at watching genocides,” Mark concurred while reviewing the Holocaust, Rwandan genocide, and other crimes of modern history. With 20,000 foreign fighters and pledged allegiance from Nigeria’s Boko Haram jihadists, the “manifold threat posed by ISIS” to American security as well as human rights interests called forth various recommendations from Wolf. 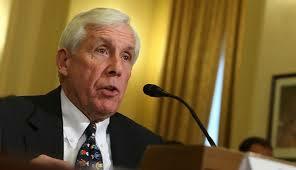 ISIS should be the subject of congressional hearings and the appointment of a special envoy. Iraq’s Kurds, regionally “unique in their pro-American sentiments” and “prepared to battle the Islamic State,” desperately needed modern military assistance to combat an ISIS “armed to the hilt” with captured American weapons. He also noted a congressional consensus to aid local defense forces such as the Nineveh Plains Protection Units, although Mark worried that such militias would further a “balkanization” of Iraq opposed by the United States. Shea expressed being “against boots on the ground, we can’t be the world’s policeman,” but advised that the United States could share more intelligence and other assets to support local forces. Yet only by identifying ISIS ideology could proper “policies flow from that correct analysis,” Shea stated. ISIS demonstrates that “radical Islamists today see religious freedom as a vice.” Public diplomacy and pressure had worked against past religious persecution offenders to rectify some abuses, “but now we are seeing ISIS brandish on videos” its sectarian brutality. To combat such a threat, Mark invoked the Cold War example of President Ronald Reagan who was “willing to call evil by name.” Wolf similarly saw the “psychological battle against Communism” as a template for a war of ideas against various Islamic threats. Particularly Christians suffered from a modern public perception “myopia” in which they could never be victims, Shea noted. Danger deterred many journalists from ISIS war zones, but “nobody knows who these people are anyhow,” a New York Times writer once responded to Shea’s complaint about deficient coverage of Iraq’s suffering minorities. Christians and others outside of Iraq “need to bring out these stories, because the media is not,” she concluded. All such analysis only added to a bleak geopolitical outlook for Iraq’s religious and ethnic minorities in the maelstrom of a wider regional conflict, Shea noted. Bomb-making ammonium nitrate shipments freely transit the Turkish border towards ISIS-controlled areas because ISIS fights Turkey’s enemies of Iran and the Syrian Bashar Assad dictatorship. Likewise the “Iraqi government has not acted like a government of all of its citizens” but has had a Shiite “sectarian mindset” that treated Iraqi Sunnis fleeing ISIS almost like foreign refugees. Andrew E. Harrod is a researcher and writer who holds a PhD from the Fletcher School of Law and Diplomacy and a JD from George Washington University Law School. He is a fellow with the Lawfare Project, an organization combating the misuse of human rights law against Western societies. He can be followed on twitter at @AEHarrod.